There’s been much made, fairly understandably, of Leicester’s outstanding progress this season from table-proppers all the way up to table-toppers. 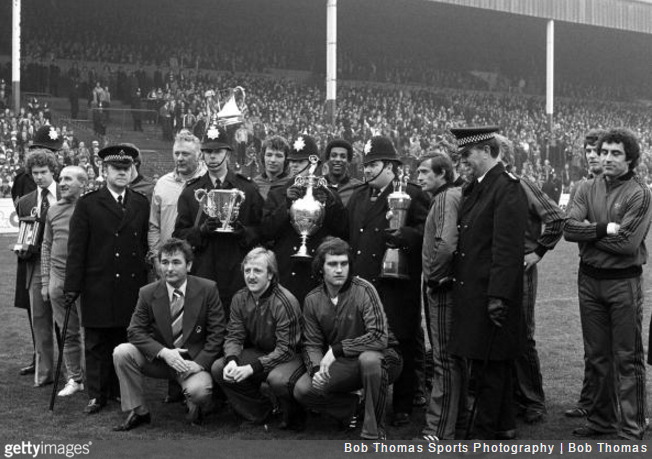 In 1978, East Midlands rivals Nottingham Forest achieved the feat of winning the First Division league title the season after being promoted, which was made mathematically certain on this very day, 38 years ago. At time of writing, Forest were the last team to do it. It triggered the start of the glory years (back-to-back European Cups were to follow) for the Tricky Trees under the leadership of Brian Clough and Peter Taylor. When the duo took over in 1975, Forest were a mid-table second flight team. Promoted in 1977, they began the 1977/78 season strongly, winning seven of their first nine games. That took them to first place, and they stayed there for the rest of the season. Before Forest took the honours, four teams had won the title in the season directly after they were promoted: Liverpool in 1906, Everton in 1932, Tottenham in 1951 and Ipswich in 1962.